COMBINING THE TALENTS OF A DJ, SAXOPHONIST AND PERCUSSIONIST TO DELIVER AN UNPARALLELED ENTERTAINMENT EXPERIENCE. Performing for big corporate names like Arnotts, NAB, Kelloggs, Audi, Suncorp, Pandora, Colgate, Hitachi, CBA, McGrath, ANZ and Lite n’ Easy this is a testament to the Sincopa’s performance, quality, professionalism and popularity. 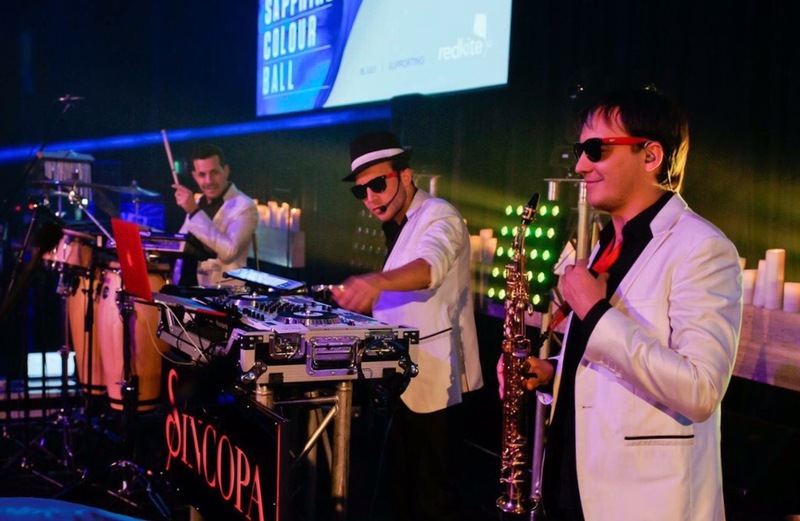 Sincopa is truly the best entertainment solution for your next event. We would love to hear from you. To make a booking enquiry, please send us a message by filling out the form below and we will be in contact with you shortly.